In the last couple of weeks two giants of cycling have announced their retirement from professional competition. On April 18th Britain's greatest olympian cyclist, Sir Chris Hoy announced that he was quitting racing. This was then followed by Italian super-sprinter, Alessandro Petacchi who, on April 20th announced he'd be hanging up his bike for the time being. I hope it's not something in the water! There are some commonalities between the two athletes though. In a way, it is probably no coincidence that these guys are ending their professional careers. 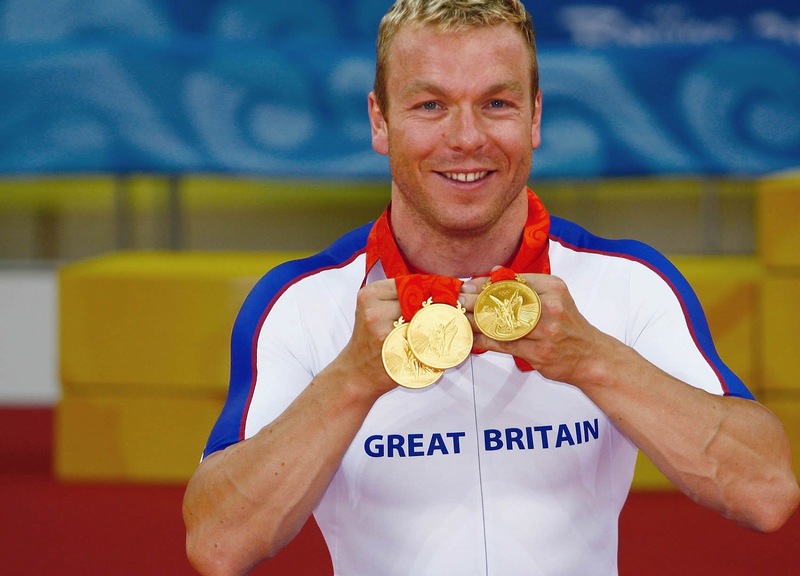 At 37 years of age, Sir Chris Hoy did not feel that he could be on top of his game for the upcoming Commonwealth Games in Glasgow next year. Ale-jet had started his 2013 campaign with solid performances at the Spring classics, including Paris-Roubaix, but he too realised that at almost 40 years old he could not hold his own against other sprinters. 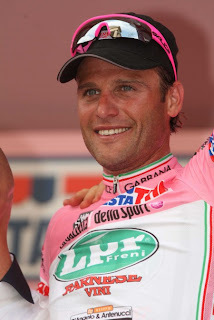 It is also a shame for Petacchi, as it would have been great to see him illustrate his "gentlemanly" brand of sprinting to win at the Giro d'Italia this weekend. Both of these cycle racers have had hugely successful careers, and are both seen as national treasures in their respective countries. They are both polite in their behaviour, to the point of being a bit too "goody two shoes" and not very "rock'n'roll". Hoy is very placid and straight-laced in his appearance compared with other great British cycling champions and fellow track cyclists, Bradley Wiggins and Mark Cavendish. The same can be said when Petacchi is compared to that other great Italian sprinting champion, Mario Cipollini. There are couple of subtle differences between Sir Chris and Ale-jet though. While both of them are very correct in their behaviour, Petacchi has served a competition suspension for overuse of the asthma drug, Salbutamol. Hoy has never tested positive for any banned substance. Also, while Chris Hoy leaves behind a few sprinting heirs at the velodrome, notably in the shape of Jason Kenny, the sprinter from La Spezia doesn't seem to have any obvious stallion to succeed him from the Italian stable. There must be a bit of headscratching going on in the Italian cycling federation as they search to identify a strong contender who can produce consistently impressive results. I guess this also leaves a convenient space for Petacchi to step in as a mentor or an ambassador for a future generation - something which Sir Chris has already sounded out as an activity he will be engaging in over the coming months. We may even also see a range of Petacchi bicycles, rather like we have seen with Hoy and other retired professional cycle racers. All that sounds great, and positive. I just hope the guys don't go down that well worn path to image denigration by appearing on Strictly Come Dancing, Celebrity Big Brother, or some other trite "celebrity" reality show! Thanks for your contributions to sport, guys. All the best for the future!